The Jazzy Select 6 Easy to Use Electric Wheelchair. 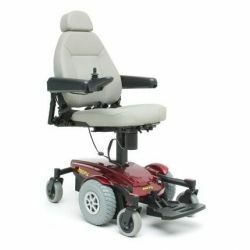 The Jazzy Select 6 Powerchair from Pride Mobility is stable and designed for both indoor and outdoor use. 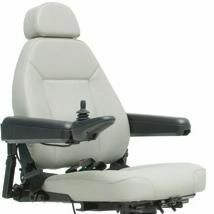 6 wheels provide greater security and the suspension on this model is of a very high standard. 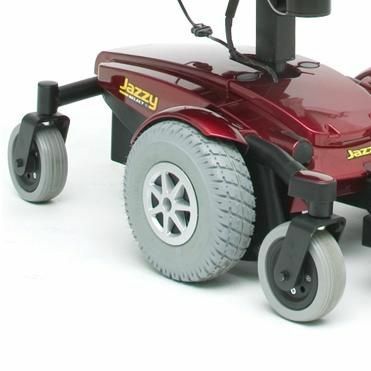 Of all our electric wheelchairs, the Jazzy Select 6 is one of the easiest to use. The controls can be fitted on the right or left hand side, and are simple to master. Optional extras include a powered lifting seat. 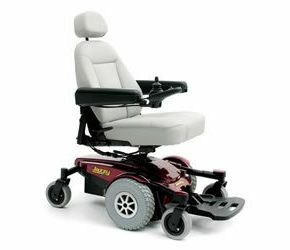 To order the Jazzy Select 6, please call our customer service team on 01642 805050 or email enq@activemobility.co.uk. They'll make sure you get the best options for your individual needs and are always happy to answer questions about any of our products.